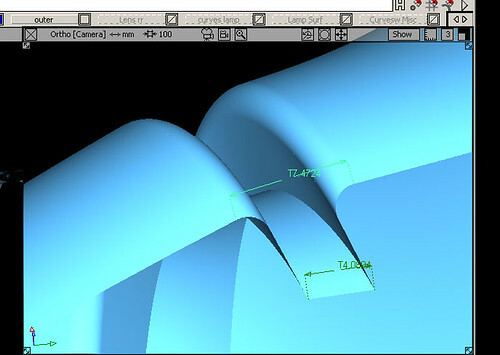 http://aliasdesign.autodesk.com/learning/This model is based on a primitive (sphere) which has been transformed and trimmed berfore having transisional surfs built on to its curves on surface. creating the peak from a square built onto the surface of the sphere. The sphere’s surfaces were dodgy after transforming and he should have perfected them before continuing. 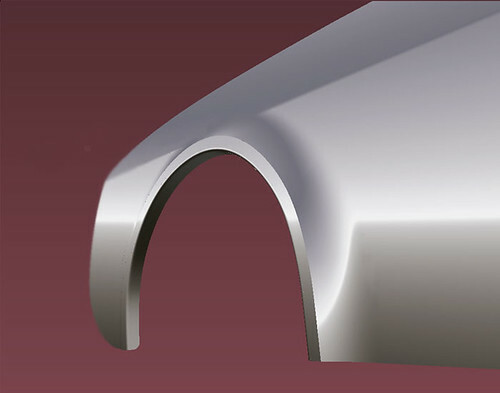 It’s been really hard for students following this fender construction, but the result although still only at 60% perfect, I am really pleased with. The body-side feature washes out imperceivably in this example, into the radial wheel arch and I love looking at it. It’s pure sculpture to me. modelling his new Audi A6. I was a Clay Modeller then and Satoshi was the Designer. He is now Senior Exterior Designer. Apart from designing vehicles he is a very good sculptor and it was through him that I gained the realization that a well styled automobile is actually a piece of Dynamic Sculpture. 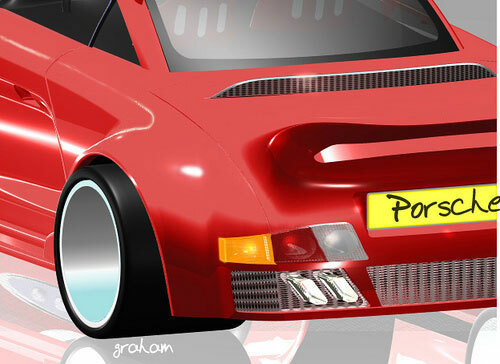 You can find this in video format on the Autodek Alias Design Community website: http://aliasdesign.autodesk.com/learning/tutorials/details/Video_Washout_136031/It has been really tough for most of my students having to raise their game to work to the standards of Roberto Tomarchio but I am pleased with the resulting surfaces that they have presented and would award them 6 – 8 out of 10, as I know that there are areas where the surface continuity simply isn’t up to production/industry standards, but that’s fine. I encourage my students to make their first model to the best of their ability not worrying or stopping when they can’t get something to work out 100%. I tell them to keep going and to FINISH the model. Students who drop half finished projects never make it in the very challenging Alias world. They learn a lot from the first finished model and after a critique from me the second attempt is very often MUCH better snd very importantly, they feel good about the experiece, simply because they feel that they have become better modellers. We all have been through highs as well as whopping great lows, struggling to understand a tutorial of this level, but you learn a lot and can then use the Align tool to much better effect and I understand how to get good Positioning as well as Curvature Cont. at adjacent surface boundaries even if you can’t always do it. You should spend every spare minute you get practicing Alias. It’s the only way to make it. 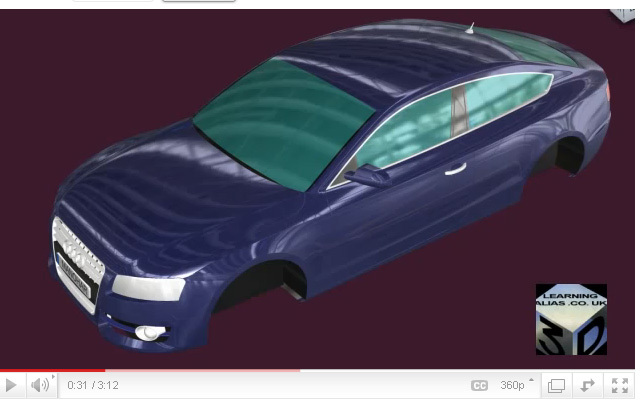 Ideally this tutorial requires Autodesk 2011/2012 software. The tutorial consists of a 30 min. 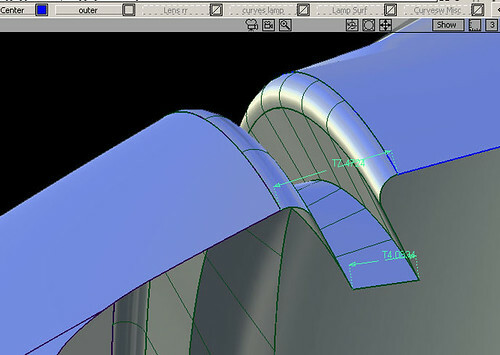 video which you can access if you sign up to the Autodesk Alias Learning sitehttp://aliasdesign.autodesk.com/learning/tutorials In the above image we can see that a lot of patches have to be created to arrive at the high finish surface that this tutorial is aimed at.If we look carefully at the fillet running along the body-side we can see that 5 surfaces have to be created for the fillet alone to achieve the washout effect. Learning Alias sponsors the Education of children in Nepal. This is Deepana and we need to raise money to put her through Nursing College in Kathmandu. 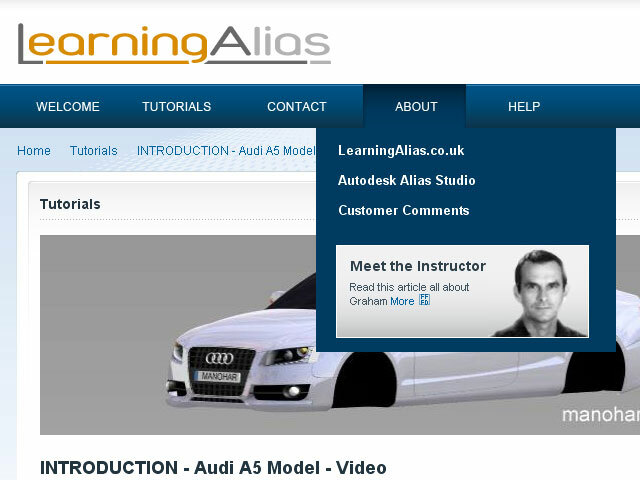 Learning Alias Blog is a free service, but if you would like to show your appreciation, please make a small donation. 100% of your money will go directly to pay Deepana’s college fees.Without the hwelp of sponsors in the developed world Deepana would receive no education whatsoever, as she comes from a remote Hymalan village. Thank You, graham bullock. Thanks to readers who have already donatd to help Deepana. The current total we are aiming for, to Pay for her 3 year State Nursing course is 4,000€. Please donate something even if it’s just 5 Euros/6 USD. It all helps and is very much appreciated. Thank you, g.
How Good Are My Surfaces? and moving into the big league. When you move from Alias std. start-up tutorials, to taking on top flight production tolerance tutorials, it is really difficult, if not impossible to build a “Perfect” model without having several attempts at it. It’s very easy to get despondent or depressed when your model doesn’t have the perfect seamless surface blends and the high qual. trimmed edges etc. What I did in the past was to set myself reasonable goals. I would make a model to a reasonable quality at mt first attempt. 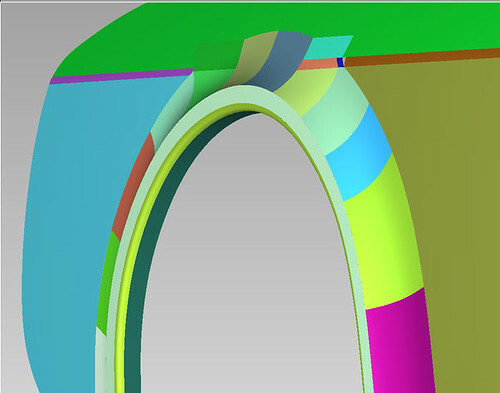 Forget about trying to hit Catia V4 or 5 tolerances. Not trying to achieve what was at that time well beyond my skills and then when I started the second or third attempt, Iwould feel very positive, because I would realise that I have actually learned a lot. What seemed really complicated and difficult to follow and do the first time around, started to become a little easier and more understandable on the second or if called for the third attempt.I have had my lower-intermediate students working really hard, way out of their comfort zones, trying to build a sports watch. 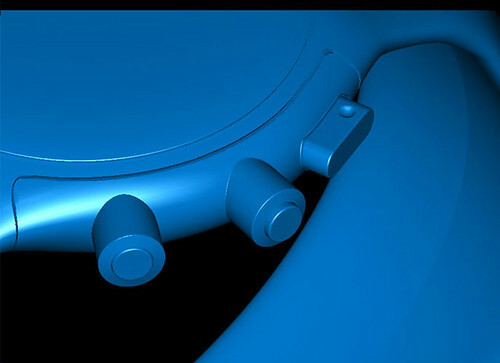 I am basing this watch on an excellent tutorial written by Jopshua Maruska.I have told them that on the first build I am not expecting to see tight tolerances and have allowed them as I used to to set their cons. prefs. to user tolerances. 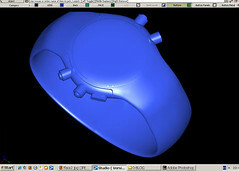 This allows them to build a model which is correct at their level, without having to know the advanced techniques required to achieve say Catia V4.Joshua Maruska has several tutorials at:http://aliasdesign.autodesk.com/learning/tutorials/[slickr-flickr tag=”sports watch 2″]To Learn Alias Automotive to Industry Entry level has been made easier. Why not visit my website and take a look for your self? 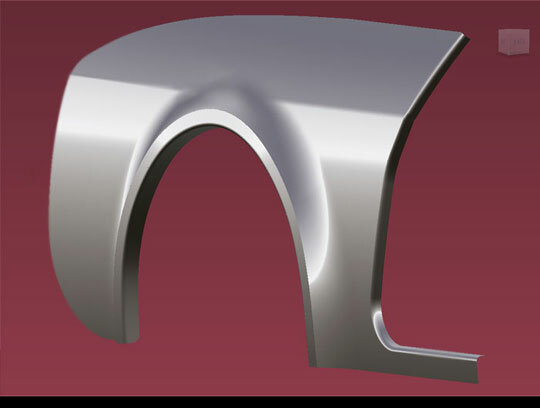 G2 = Curvature Continuity at the meeting of 2 curves Then I go back as far as I have to in the build process, scrapping curves and even the Draft surfs. if I can’t get them to align accurately, until I establish a sound foundation on which I can start building a good accurate model on once again. Fortunately this drastic action is not called for often as by a comination of chnging crv. geo. in the control Panel, carefully moving Cv’s with the Move CV tool and Panarizing recalcitrent crvs. 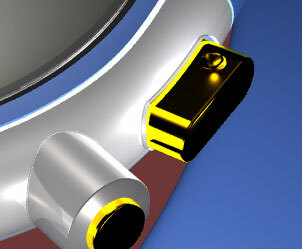 it is normally possible to correct your curve set, so that you have the necessary G1 or G2 as you require.